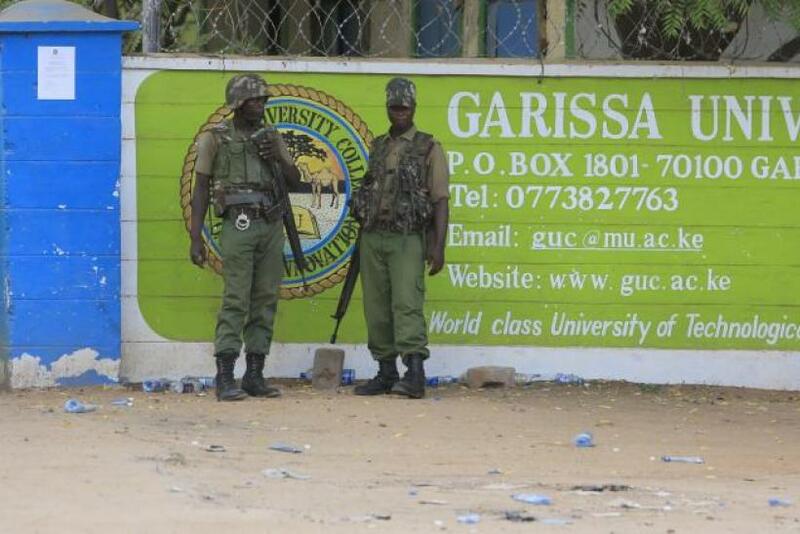 (Reuters) - Somali militants vowed on Saturday to wage a long war against Kenya and run its cities "red with blood" after the group's fighters killed nearly 150 people during an assault on a Kenyan university. In the message directed at the Kenyan public, the al Qaeda aligned group said the raid was retribution for Kenya's military presence in Somalia and mistreatment of Muslims within Kenya. The raid on Thursday was the deadliest in the east African nation since 1998, when al Qaeda bombed the U.S. embassy in the capital Nairobi and killed more than 200 people. The bloodshed piled further pressure on President Uhuru Kenyatta, who has struggled to stem the violence that has dented Kenya's image and ravaged the country's vital tourism industry. Local media, whose coverage has been uncharacteristically tame due to a new law that forbids them from showing images that would create "fear" among the public, have been skeptical about the government's latest promise to halt the slaughter. Chilling testimonies from survivors, many of whom saw their friends shot at point-blank range, suggest the fighters were speaking Kenya's Swahili language, rarely spoken in Somalia, making it likely the raid was carried out by home-grown gunmen. Diplomats and analysts have often criticized the heavy-handed approach of Kenyan police, saying tactics such as indiscriminate mass arrests of Kenya's Somali population plays into al Shabaab's hands and fuels resentment among Muslims. "You can't say this will be the last attack in Garissa," said construction worker Tobias Ayuka. "We are very worried." "We are getting more armed police and plain clothes police officers. Everywhere is on heightened alert right now," said the owner of one high-end Nairobi mall popular with Westerners. Along Kenya's palm-fringed coastline, where several resort towns cater mainly for Western tourists, police have put armed officers in major public buildings. "Officers are everywhere both on the ground and in the air. We have two helicopters that will be patrolling the entire coastal area, especially crowded public places, during Easter and beyond," Robert Kitur, police chief for Kenya's Indian Ocean coast region, told Reuters. Garissa Governor Nathif Jama said the region has a number of security "soft spots", including schools and hospitals, and asked for more boots on the ground in his county, which forms part of Kenya's porous 700km border with Somalia. "When I just manage to get out of this place safely, I'm telling you I'll never come back," said Sheillah Kigasha, 20, who survived Thursday's rampage by hiding under a bed.